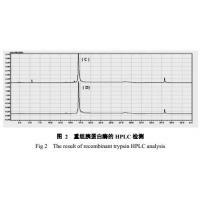 by high pressure liquid chromatography. 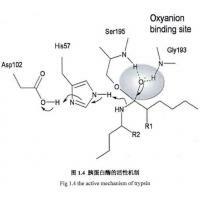 There are no contaminating enzyme activities such as carboxypeptidase A and chymotrypsin. 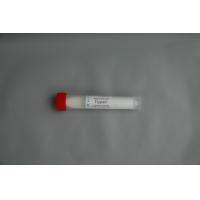 No protease inhibitors such as PMSF are contained in the preparation. 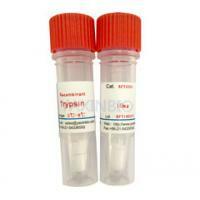 Porcine Trypsin belongs to the AOF level 3. 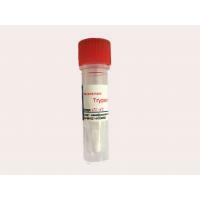 Stablility: A sterile recombinant trypsin lyophilized powder eliminates the contamination risks and decreases the chance of activity loss in the process of transport and storage. 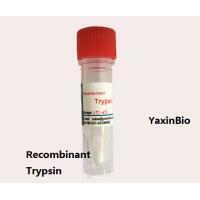 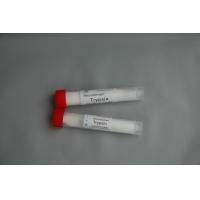 1) Recombinant porcine trypsin provides increased specific activity and eliminates contaminating proteases activities found in extracted enzymes. 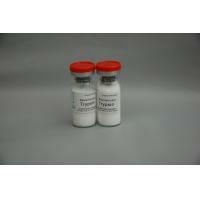 2) No other contaminating proteases such as chymotrypsin or carboxypeptidase A. 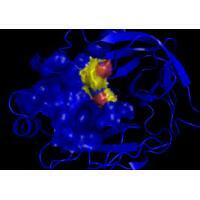 No chymotrypsin, carboxypeptidase A, and other protease contaminant. 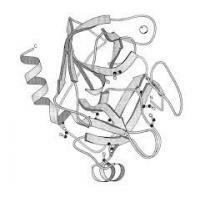 One USP unit of trypsin activity will produce a Delta A253 of 0.003 per minute in a reaction volume of 3.0ml at pH7.6 and 25℃, with BAEE as a substrate (1cm light path). 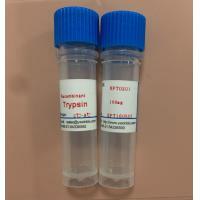 Prepare 1-10mg/ml recombinant trypsin with 1mM HCl.The ratio to aimed protein is 1:50 to 1:1000 (w/w).The optimum pH is pH7-10. 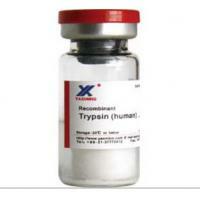 above 90% activity remained after 10 times repeated freezing and thawing.